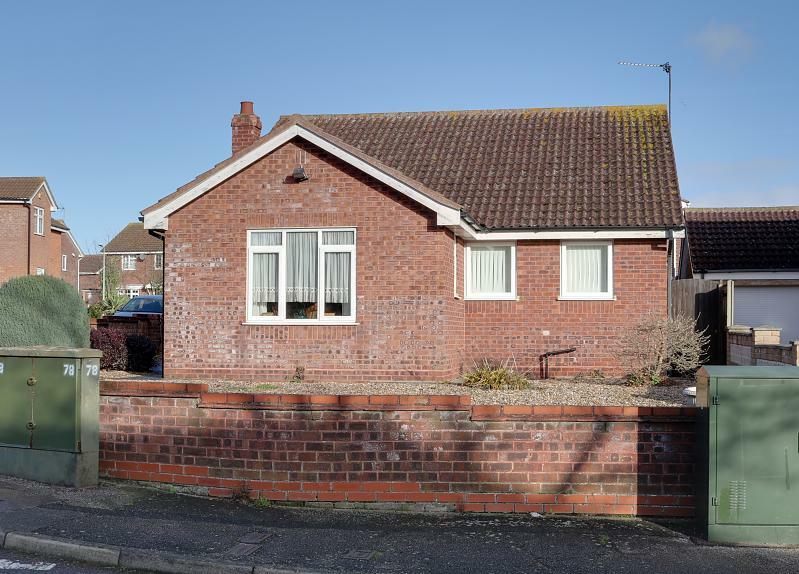 An extremely well maintained, extended detached bungalow set on a good size corner plot on this ever popular development being within walking distance of nearby shopping parade, doctors surgery and bus route. 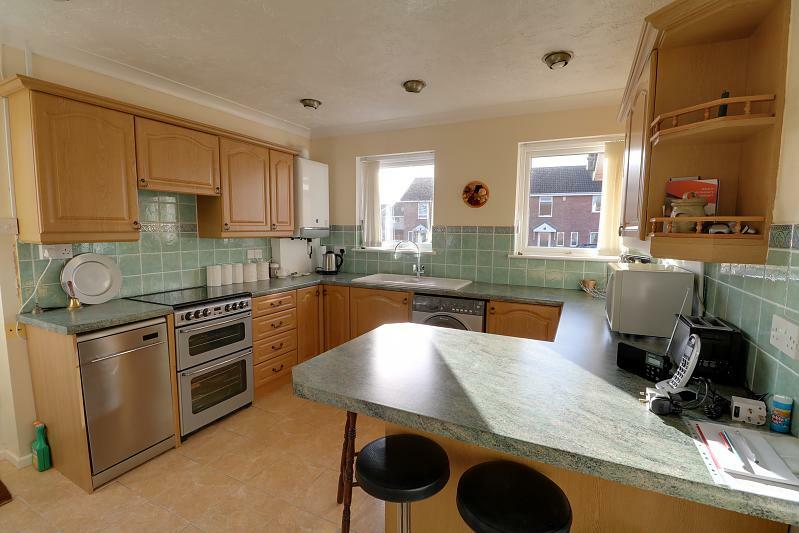 Offered in excellent decorative order the property benefits from gas fired central heating, sealed unit double glazing and has fitted floor coverings throughout. 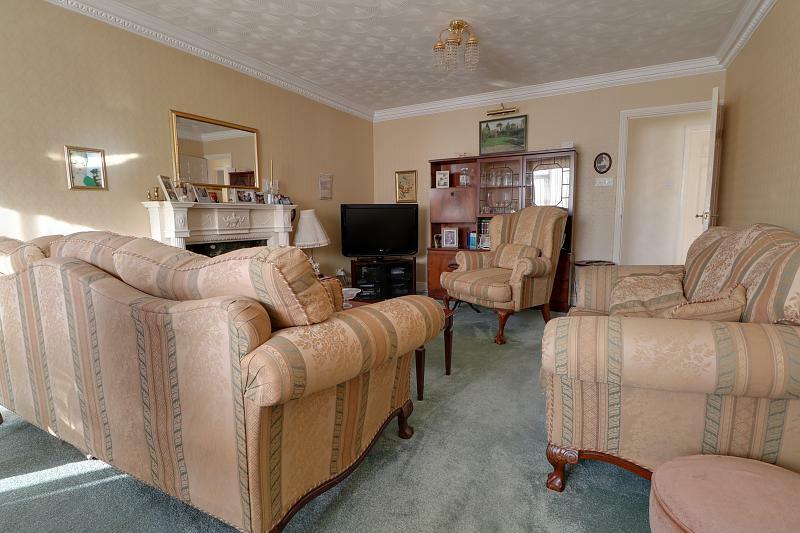 The well proportioned living accommodation includes a superb lounge/diner, fitted kitchen/breakfast room, recently fitted adapted wet room, together with 2 bedrooms, the master of which was formally 2 bedrooms. 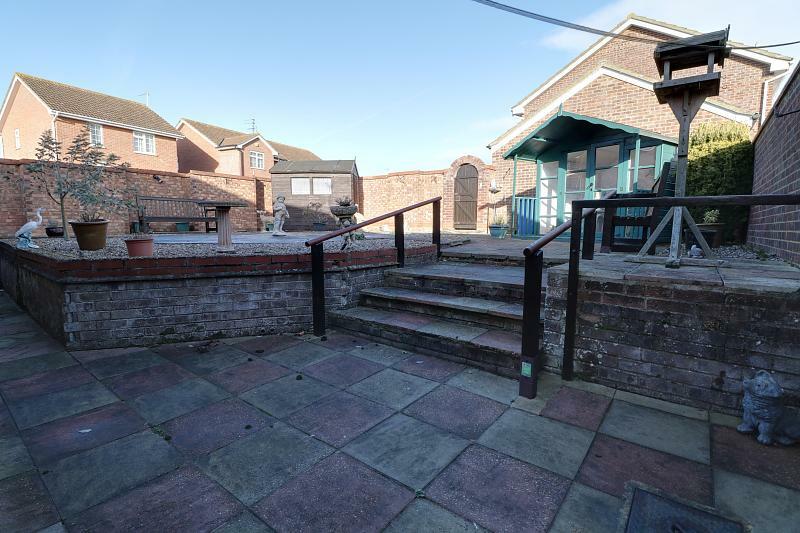 Outside the low maintenance gardens provide seclusion and privacy complemented by off road parking and a brick garage with an electronic door. 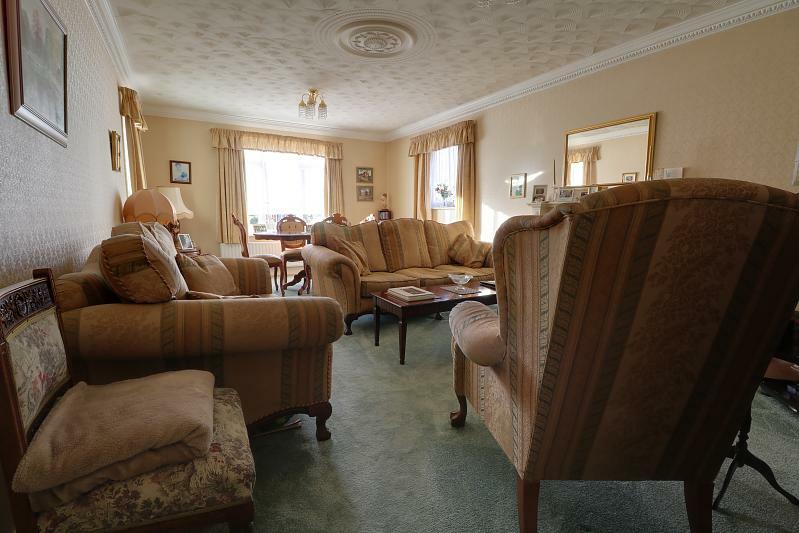 The perfect retirement home offered with no onward chain where an early inspection is highly recommended. 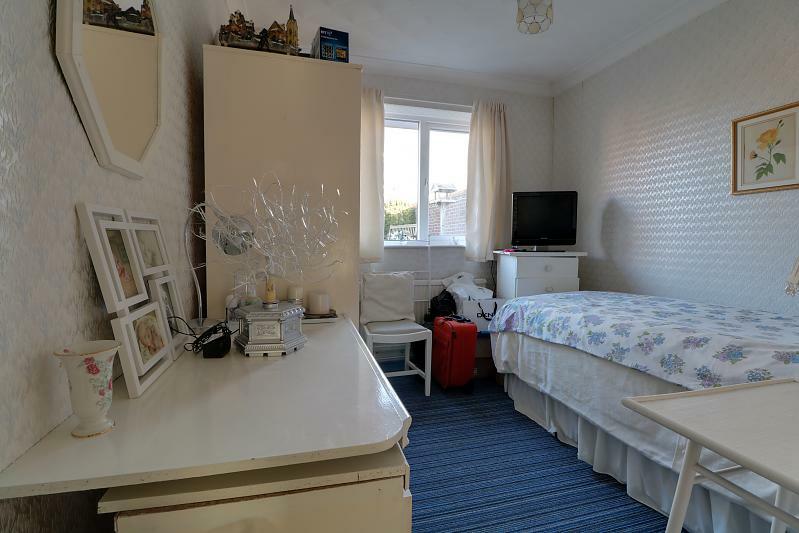 Sealed unit double glazed door, built-in airing cupboard housing shelving and radiator, power point, access to insulated roof void, radiator, vinyl floor. 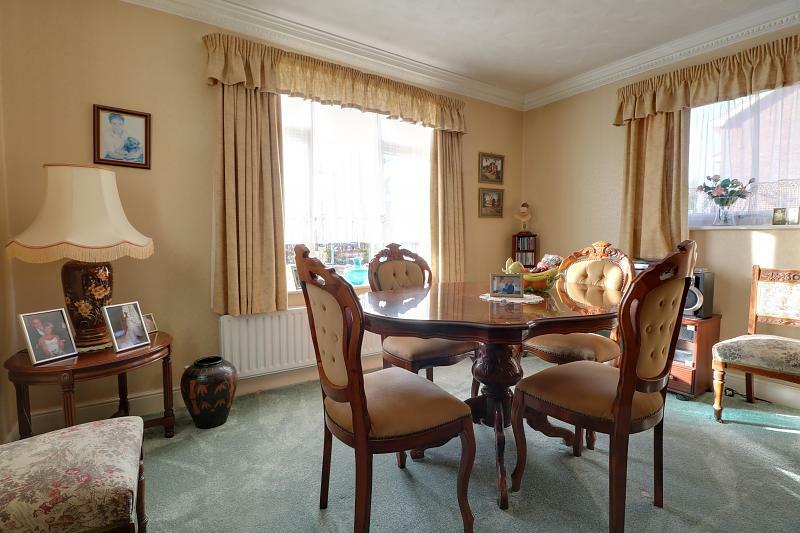 Sealed unit double glazed windows to front and side, radiator, carpet, power points, coal effect living flame gas fire set in marble inlay, corniced ceiling with matching ceiling rose. 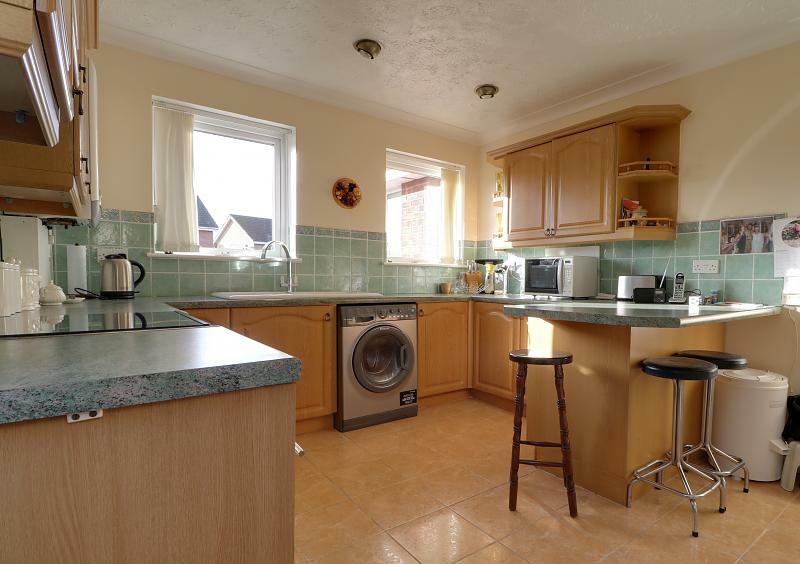 Inset enamelled sink unit with chrome mixer tap, cupboard and plumbing for washing machine beneath, worksurfaces to either side with cupboards and drawers, breakfast bar peninsular worksurface, range of matching wall mounted cabinets, ceramic floor tiling, tiled splashbacks, 2 sealed unit double glazed windows, part glazed rear door, inset spot lighting. 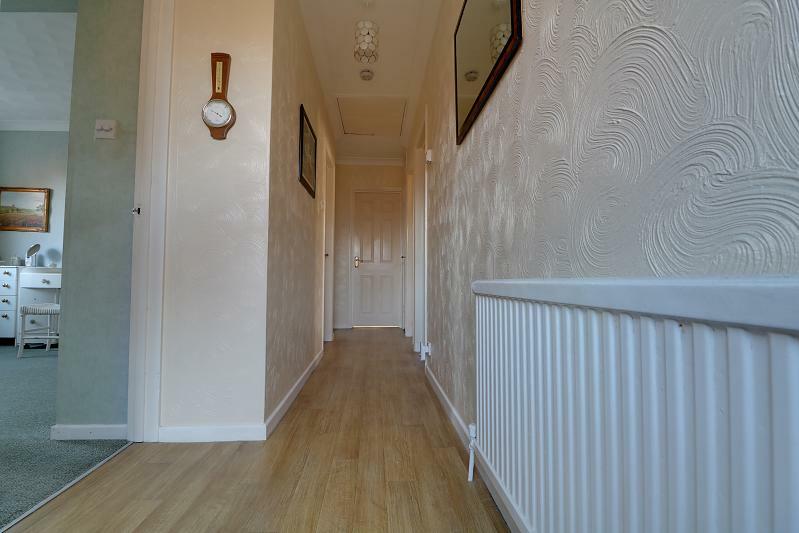 Carpet, power points, radiators, sealed unit double glazed windows over looking rear garden. 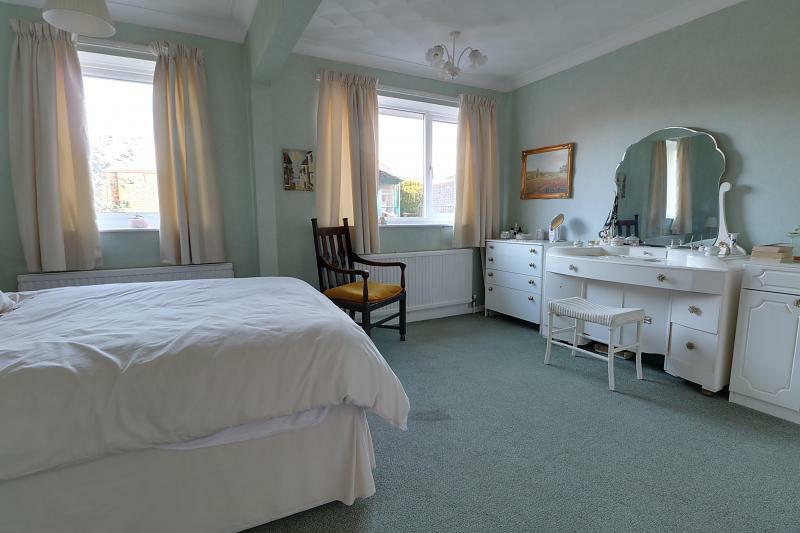 Carpet, power points, radiator, sealed unit double glazed window over looking rear garden. 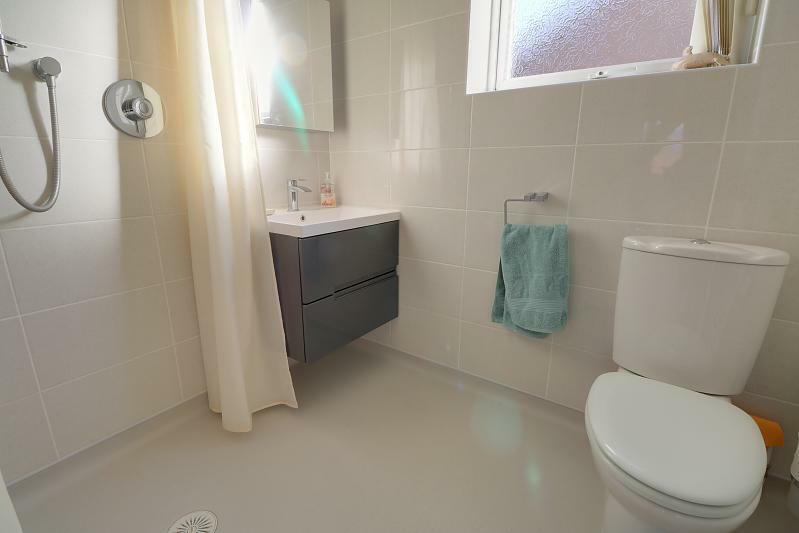 Modern adapted wet room with fully tiled walls, vanity wash basin with storage beneath, low level wc, non-slip floor covering, chrome shower fitting,sealed unit double glazed window, vertical towel rail. 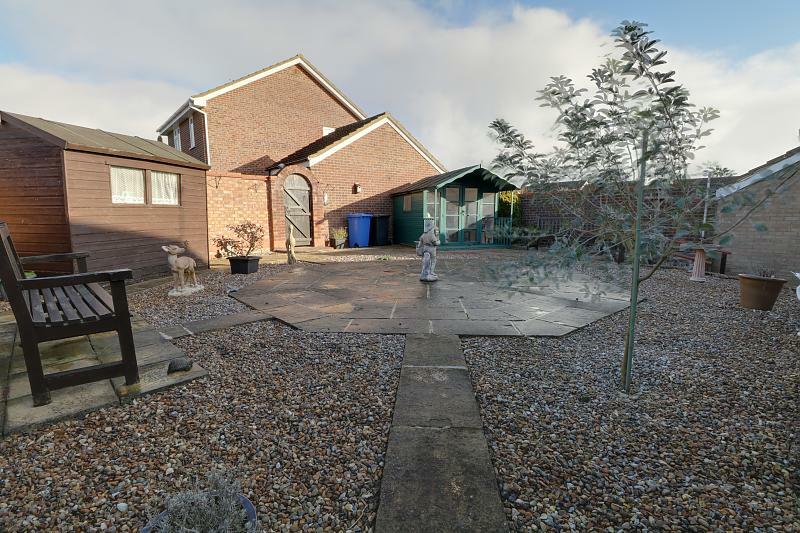 Wide enclosed low maintenance front and side gardens with gravel beds and shrubbery, low brick wall screen, path extended to raised low maintenance attractive secluded rear garden with wide paved seating area, timber shed, summerhouse, gravel beds, brick wall screen wit arch and gate opening to private drive and brick GARAGE with light, power eaves storage and electric door.